Rej is a great salesman! 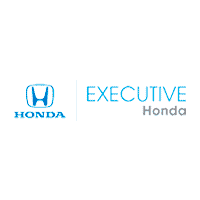 At executive Honda I have always have great experiences which is the reason I am on my 4th Honda. I don’t feel like I need to go to anyone else. Rej took great care of me! Kristin Crook was a dream to work with. I recently purchased a Honda CR-V and I LOVE it. I told her exactly what I wanted, we looked at a few different options and she made the process easy from start to finish. I would recommend her to anyone looking to purchase a Honda. Thank you Kristen!! !